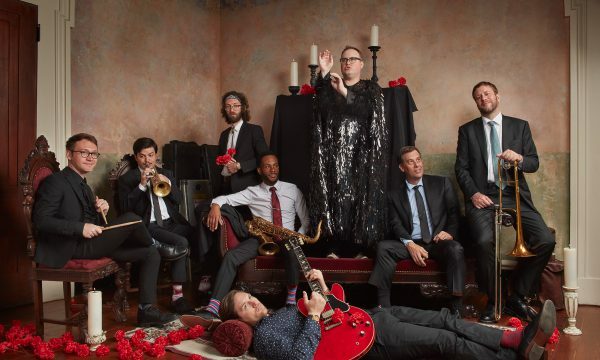 High-voltage soul-based rockers ST. PAUL & THE BROKEN BONES render a blazing mating of ’60s soul fire with latter-day influences like Sly Stone, David Bowie and Prince. The Alabama-based band’s take-no-prisoners live shows caught the eye of the Rolling Stones, who tapped them as an opening band. “I love the Rolling Stones,” says frontman Paul Janeway, “but my train of thought is, you gotta try and blow ‘em off the stage. And that’s still my goal.” Making their incendiary Waterfront debut with their Southern soul revival, they’ll stir up the crowd with guitars, horns, brass and a James Brown-worthy get-on-up style.